You must have seen many of your friends admiring their old pictures and wishing that they had the same slim figure as they had earlier. If you gain weight and want to lose it forever, you can do so, if you have the determination to follow a diet plan or exercise regime for 21 days. This will help you to make it a habit and thus achieve a fit and slim figure as you wished. As you must be aware, our body consists of 70% water and the rest of 30% is what we eat. You can reduce the fat in your body by reducing the amount of food that you consume and by having a sensible diet that is low in calories but containing the essential nutrients for your body. If you eat healthy and do exercise regularly, you can easily reduce your weight and lose that extra fat that accumulates in your body. Did you Know these Facts about Calories? Low fat food provides you less calories but they contain high amounts of nutrients like proteins and carbohydrates. The food you consume must have enough calories so that you can perform all your body functions. When you take low calorie food, your body burns the fat stored in your body for carrying out various body functions. This way you can lose weight and remain fit. By taking high protein low calorie food you will be taking in less calories but the food will be high in fiber. Compared to fat, which contain 9 calories per gram, proteins and carbohydrates have less calories, which comes to 4 calories per gram. Before you start your diet, you have to determine how much calories you need per day. Then you have check the nutritional value and calorific value of different food items and plan accordingly. It is estimated that an inactive woman requires 1500 to 1800 calories per day while an inactive man needs 2000 to 2200 calories per day. If you are active, you will need 600 calories extra every day. When you plan your diet, select food from all groups of food, so that you have a well balanced diet. This is a must for a healthy body. Fruits and vegetables are low in calorie but high in fiber and essential nutrients. So you can consume them in large quantities without the fear of taking in too much calories. 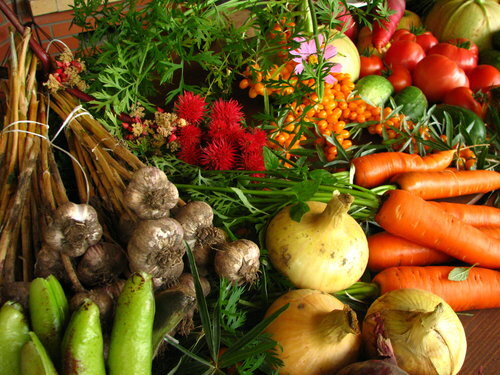 Moreover, fruits and vegetables keep you full for a longer time because of the presence of fiber in them. This way they prevent you from overeating by reducing your irregular hunger pangs. Foods that are low in Calorie. You can add these to your diet plan. Asparagus contains 22 calories per cup. Being a rich source of amino acids, asparagus helps in eliminating all toxins from your body. It is also a good diuretic and flushes out the excess fluid from your body. Asparagus is high in vitamins and minerals. Vitamin A, C, E, K, B6, folates, proteins, copper and iron are found in large amounts in asparagus. You can consume asparagus in various ways. You may have it in the raw form, add it to salads or steam it and have it. Half a cup of beetroot contains 37 calories. Beetroots are sweet to taste, but they contain less calories. They are rich sources of antioxidants that can fight against cancer, thus protecting your body from cancer. The antioxidant betanine is responsible for providing the beautiful color to this vegetable. Other nutrients like iron, folate and fiber are also found in good amounts in beetroot. You can mix them with salads. This will increase the nutritional value of the salads. 1 cup of broccoli contains 31 calories. The antioxidants present in broccoli makes it an excellent food for reducing the risk of colon cancer and also helps you survive breast cancer. Broccoli is also a rich source of vitamins, minerals and fiber. You get 22 calories from half a cup of carrot. Carrots contain very less amount of saturated fat and cholesterol. It is rich in thiamine, Vitamin A and C, niacin, potassium and healthy dietary fiber. You get 14 calories from half cup of cauliflower. Cauliflower is a rich source of polynutrients, folate and Vitamin C. You can have cauliflower in the raw form or steam it and have it. You can reduce the risk of breast cancer by having cauliflower regularly. Coffee does not contain any calorie. Coffee can help suppress you hunger. It is also said to provide you long life. Coffee contains caffeine, which can burn fat and prevent obesity as well as reduce the chances of diabetes. Coffee can greatly reduce the risk of liver and colon cancer as well as type 2 diabetes. Coffee is also said to lower the risk of Parkinson disease. One cup of cabbage contains 22 calories. Cabbage is a rich source of minerals, fibers and vitamins. Since it contains very less calories, it is excellent for losing weight and keeping you fit and healthy. Cabbage also has anti-carcinogenic properties because it is rich in Glucosinolate. Purple cabbage is a good source of anthocyanin and also contains many other natural chemicals. These help in enhancing the repairing of the cells and also arrests abnormal growth of the cells due to cancer. Lettuce contains only 5 calories per cup. You may eat large amounts of lettuce and still not gain any weight. So, it is ideal for those who want to lose weight. It is rich in vitamin B, manganese, folic acid. These help in keeping the levels of blood sugar within normal limits and also ensures that your body functions properly.